A fun way to offer creative tips for stress management. 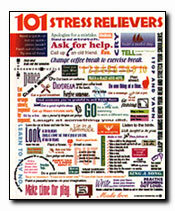 Draw people in with this lighthearted poster offering simple and useful tips for stress management. Sized for easy placement in the home, office, restroom or lunchroom.